Nowhere is there such a diversity of techniques, as in China, where developers of mobile devices are involved in fierce price wars. One of the leaders of the market – the company Xiaomi. Literally translated from the Chinese its name means “grain of rice”. Symbolically: chicken pecks of grain at. However, in China the other symbols: from a small risinki can grow rice field. On the eve of release of the new flagship Xiaomi Mi Note 2, let us remember how to develop the brand since its inception in 2010. It all started with the original shell for Android called MIUI. The prototypes were made by Samsung’s TouchWiz interface and iOS from Apple, which is still visible to the naked eye. Historically, the “custom” firmware always been the lot of a small percentage of power users. 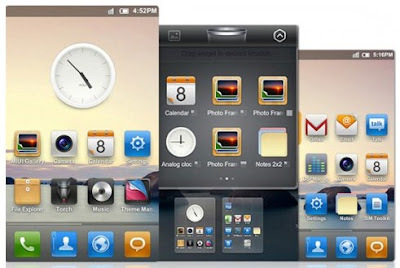 But MIUI just a year has won great popularity among a wider audience throughout the world thanks to its user-friendly interface, and most importantly – a stable and trouble-free operation. 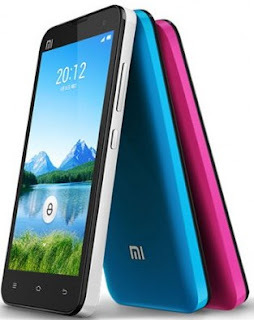 Exactly one year after the MIUI, in August 2011, Xiaomi smartphone presented with this firmware – Xiaomi Mi-One. The main feature was the excellent value for money: At $ 315 Mi-One characteristic was the flagship at “stuffing” in competition with top devices that period. Device gained popularity around the world. and soon the company made a second device, calling it expected Xiaomi Mi-Two, having supplied more productive processor Qualcomm Snapdragon S4 and 2 GB of RAM. Success was not long in coming. Forbes awarded Xiaomi Mi-Two status “great Chinese smart phone”, and to its second anniversary, the company sold over 25 million units. Indeed a serious player in the global market Xiaomi has presented in 2013 Xiaomi Mi 3, which, as usual, was at the time top performance at a cost of about $ 300. By this time last hedgehog was already aware that the myth of the poor quality of Chinese products is outdated – and the first batch of Mi 4 people swept from the shelves for a record 40 minutes. And it was not the last record Xiaomi. 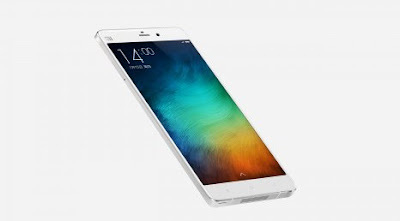 In January 2015 Xiaomi introduced 5.7-inch smartped priced at $ 371 for a model with 16 GB of memory. Sales began after a couple of weeks, the first batch have traditionally been sold out for a few minutes, and the number of pre-orders for new product has exceeded 220 million. Miracles do not have – a huge population of native Chinese, and traditional flagship iron and low price. Novelty was top by the standards of the mid-late 2014 specifications – FullHD-screen, Qualcomm Snapdragon processor 801, 3GB of RAM and a 13 megapixel camera. 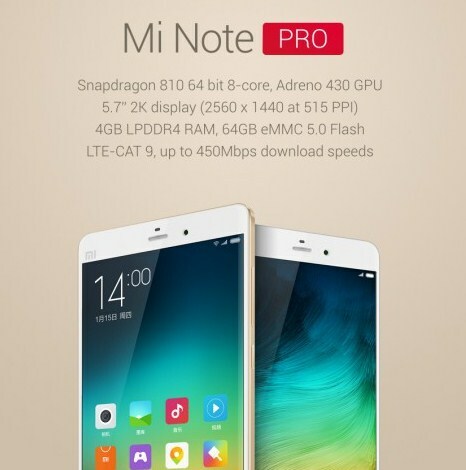 At the same time was released in the name of improved modification Xiaomi Mi Note Pro, with QHD-resolution, eight-Snapdragon 810. Beauty – a terrible force! Another signature move Xiaomi: the company first released the classic white version of their devices, and then offers alternative colors.Thus, Mi Note two months after the release was a special version with a bamboo cover. And yet one came through the black limited series, created in collaboration with a Chinese pop star Zhang Jie. They have set her in a special package, complete with disc with the singer, and it is more cost about $ 40. 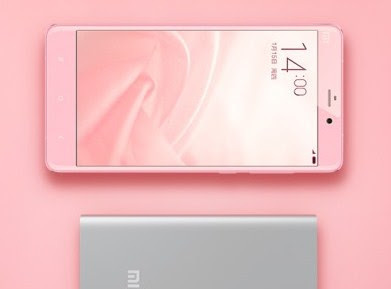 At the same price sold pale pink Xiaomi Mi Note, issued in honor of the fifth anniversary of the company. Technically, “smartphone for Barbie” was no different from the original, but it went complete with external battery 5000 mAh. Today, 5 November, the Chinese company is going to present the new Xiaomi smartped Xiaomi Mi Note 2. The competition in this segment is the most powerful: the new product will compete with Samsung Note 5 and iPhone 6s Plus. Therefore, only the price is not particularly pomashesh needed flagship properties. 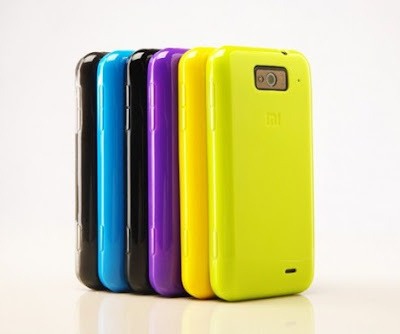 But with this, as you know, I have always been Xiaomi all the way through. It is expected that the flagship Xiaomi Mi Note 2 will have 5.7-inch screen with a resolution of 2560h1440 pixels, 4 GB of RAM and 32 GB of internal memory, as well as 16 megapixel camera and fingerprint reader from Qualcomm. As a hardware-based act desyatiyaderny processor MediaTek MT6797, a program will be filling the latest Android 6.0 Marshmallow … well, of course, with MIUI. Known fact: if you want to save money, but to get a modern machine – look among the “Chinese.” Cheaper without sacrificing quality is not there. Perhaps, for the Chinese brand – the future, so we look forward to the premiere of Xiaomi Mi Note 2 and closely follow how things will develop one of the most successful companies Zhongguo. His rice field (and not a few! ), They have already raised.